I’m glad your program was able to notify me of the speech issues Priya was having as they were not clearly apparent to me. Priya enjoyed working with your therapist and I believe the therapy has helped quite a bit. I also appreciate her keeping me posted on Priya’s progress. It is nice to work with someone who genuinely cares about their customer. I’m happy my daughter was paired with your therapist and I am very pleased with the results. I feel like the staff and business office were very helpful and very understanding of our unique situation. They were very prompt with answers to my questions and offered good solutions that worked with us. I also wanted to take the time to tell you how truly amazing it was to see Emma transition thru this. She’s built confidence in herself and it’s a true joy to watch her read now. She’s “tapping” words out and 9/10 times gets the word right. I’m also noticed a huge improvement in how she can comprehend what she’s reading now. Thank you so much! Your work is truly changing children’s lives. I could not be more pleased with Kara’s progress. When I think of where she was back in July/Aug/Sept and where she is now, it is like light-years away from those times! Although I am not present at the sessions, I read the therapist’s comments and we are trying to have a consistent reward system at home and at school. Kara is much better at controlling her anger and I have heard many comments from her teachers on how mature she behaves in class. She is handling transitions so well these days. It is just wonderful how much she has grown. Sara’s pediatrician told us it was normal for a child to have anxiety when I left her at childcare. My mother kept telling me she would get used to it. Something still did not feel right. I had her evaluated because I was still worried and her behavior was getting worse. It didn’t take MTC’s social worker long to spot the problems and recommend some strategies. Thanks to MTC and their behavior program Sarah is a lot happier and so are the other children in her classroom. We’ve been getting a lot of questions from parents about Grady’s speech sessions, about the therapists and the program and we’ve said all wonderful things and have told them how much Grady enjoys working with his therapist and how much improvement we have seen. Early on he would get embarrassed when he knew someone could not understand him and he would essentially shut down with frustration. But now he has the courage to try again and work on his words until he gets them right. We are so proud of Troy’s hard work and the progress he has made. Sara’s pediatrician told us it was normal for a child to have anxiety when I left her at childcare. My mother kept telling me she would get used to it. Something still did not feel right. I had her evaluated because I was still worried and her behavior and it was getting worse. It didn’t take MTC’s social worker long to spot the problems and recommend some strategies. 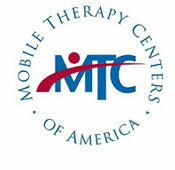 Thanks to MTC and their behavior program Sarah is a lot happier and so are the other children in her classroom. What a relief to have your child receive his speech therapy at the childcare center where he spends his days. My husband and I would have to rotate and miss one day a week of work in order to bring Ben to his therapy appointment. With MTC that has changed. We both can work a full week and we know Ben is still getting the help he needs. Thanks MTC! “We are noticing the difference and his p’s are more pronounced. Also on a positive note, he used to frequently get frustrated and would cry because I couldn’t understand him. He’d ask “why don’t you understand me?” But since he started therapy he’s showing more confidence and will alter pronunciation as needed until I do understand what he’s trying to say. He also talks very positively of the therapy sessions and takes me to the room each night to let me know what he did that day.